- Lazy Boy & Lift Chair Alternating Pressure Recliner Overlay - Advanced Treatment, Adjustable Comfort, Skin Protection and Pain Relief for lazy boy style home recliners & lift chairs. 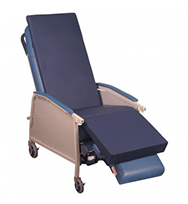 - Alternating Pressure Dialysis Chair Cushion - Adjustable comfort, Pain Relief, Advanced Skin Protection for home & dialysis center chairs. 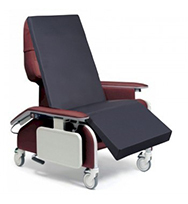 - Recliner Air - Hybrid Therapeutic Recliner Cushion. 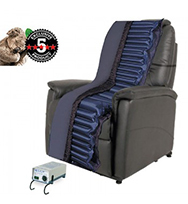 A combination of Alternating Pressure, Fluidized Gel and Foam for Advanced treatment, Adjustable comfort, Skin Protection and Pain Relief for sores concentrated on the Buttocks, Coccyx and Sacral Areas for lazy boy style home recliners, lift chairs, dialysis and hospital recliners. All overlays are in-stock and available for immediate shipment. Bariatric and custom sizes available on some models. 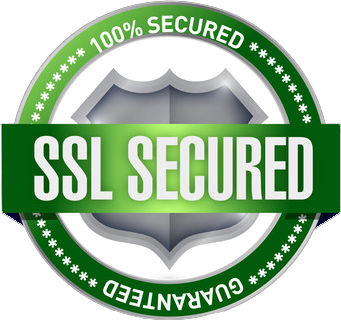 Manufactured in the US to the most stringent medical grade standards.